« The Easiest Chocolate Chip Cookie EVAH! 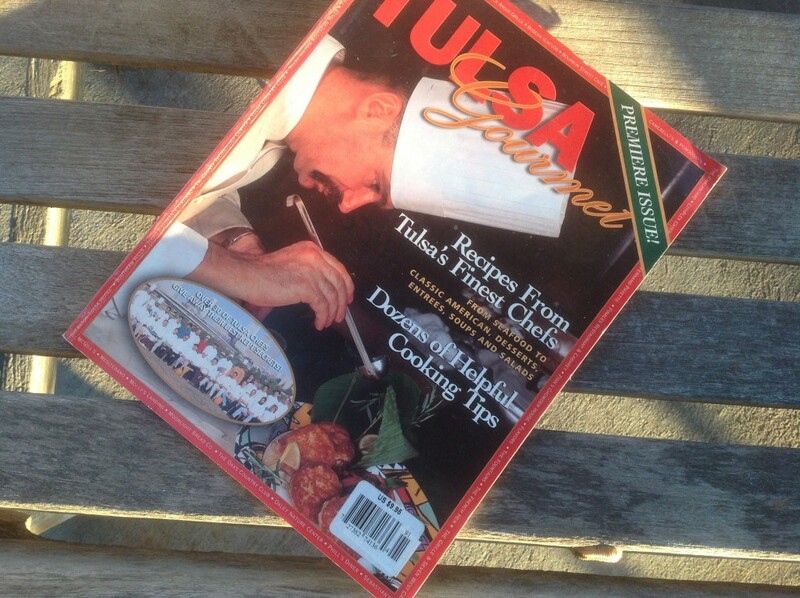 Over the holiday break, I decided to go through my stash of recipe books, clippings, magazines, etc. It was quite an undertaking, something that I am still in the process of sorting. 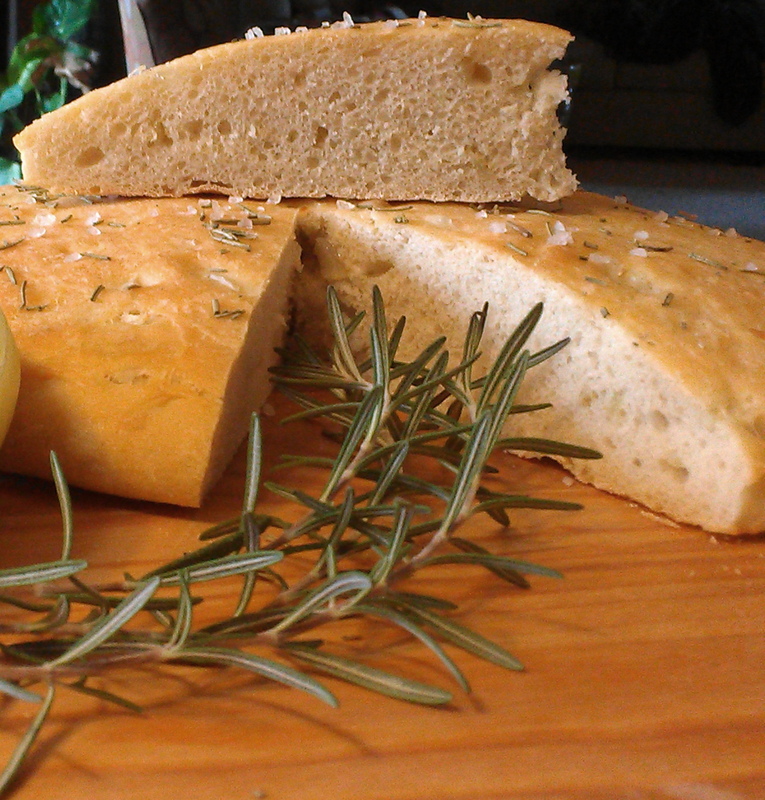 “Bread You Will Want Everyday” was a featured recipe from Molly’s Landing. Molly’s is still around and this bread recipe (slightly adapted and updated here) will be around our house for a long time. Slightly adapted from “Bread You Will Want Everyday” (Molly’s Landing), Tulsa Gourmet, Winter 1998-99. Dissolve yeast and honey in water and stir to dissolve. In the bowl of a stand mixer, combine yeast mixture with onions and salt. Using the dough hook attachment, add flour one cup at a time until a stiff dough is formed. Knead by hand or with the dough hook until smooth. Place dough in an oiled bowl and cover with a clean dish cloth. Let rise until doubled. Punch down and flatten dough to about 1 inch on a large cookie sheet (or divide dough and cook on two separate cookie sheets). Brush more olive oil on top and let it rise until doubled in size. Sprinkle with rosemary and salt. Bake in a 400 degree oven for 20-25 minutes (depending on size) or until golden brown. This is the perfect bread for sopping up pasta sauce or to serve with a soup or stew. It is deliciously moist. I think it would also make a great sandwich bread. What a gorgeous bread my friend, it has quite a bit of flavour to it! I want to melt cheese on it and devour away! Some grated Parm would be delicious on top of this!!! It reminds me of Italian focaccia. The bread looks rustic and beautiful and I love the combo of flavours. It’s a bit thicker but super moist. I think I need to make a big pot of soup and some more of this bread. Wow – the bread looks fantastic! how fun to find a recipe from Molly’s Landing! 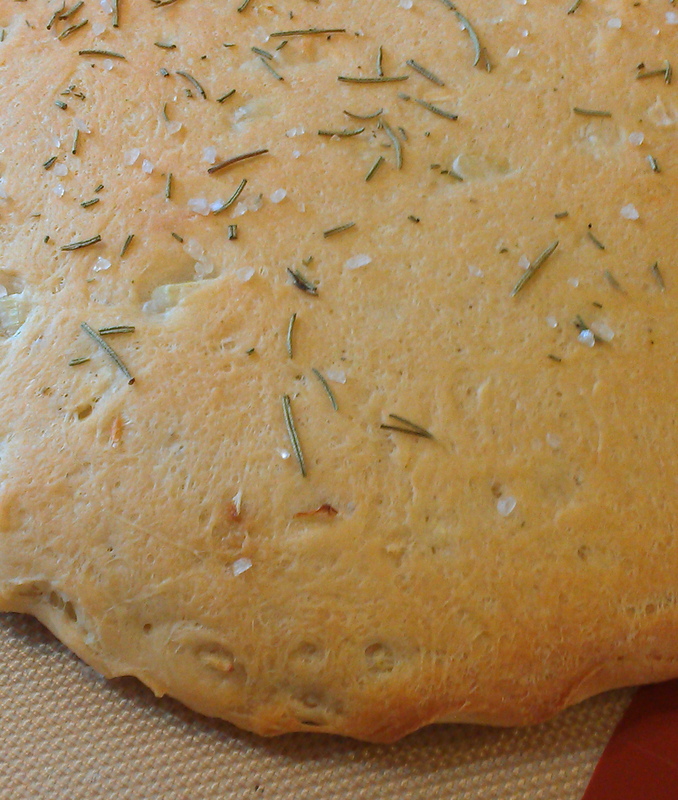 I love it – I must make this bread soon……..Pinning! Thanks for pinning. I have an Oklahoma issue somewhere from the same time period. I need to see if the restaurants in OKC area are still in existence. Perfectly made bread Debra! Rosemary is such a powerful herb! OH! YES!! This looks fantastic!! So many recipes I have clipped from magazines over the years, so little time!! !